Once it was an undreamed of possibility, but Wi-Fi internet connection onboard buses and coaches is now becoming common. Not only are new vehicles being fitted with routers to enable on-bus internet exploration, but older vehicles are being retrofitted with the equipment. As its popularity grows and passengers become even more accustomed to it, so too does the market for companies providing the technology. This is where In-CarPC comes in, a new addition to the bus and coach Wi-Fi router market. To learn more about them, Chris Peat spoke to In-CarPC’s General Manager, David Hitchings and Chris Bailey, Field Sales Executive of Bowmonk. The latter company brought In-CarPC into its fold last year, making the onboard technology specialist a brand within its portfolio (more on which later). In-CarPC is entering the bus and coach Wi-Fi router market with the IBR1100. This bit of kit is designed for on-vehicle applications and is built to be rugged. It creates a Wi-Fi hotspot which allows up to 128 devices such as tablets, laptops and mobile phones to connect to the internet wirelessly. It features dual-SIMs for back up, meaning that if there is a failure in one of them, it can still provide a reliable data connection wherever possible thanks to the spare SIM. Ensuring the best possible internet connection is made, the device uses 4G, the latest telecommunication technology. Another interesting feature of IBR1100 is a Wi-Fi captive portal, which David said is ideal for bus and coach operators wishing to monetise the system or increase engagement with their customers. Various user options can be configured through the back office portal, enabling the Wi-Fi to be set up so users have to either: pay for using the internet; have a preset amount of surfing minutes free before they start paying; or it can even be completely free to use. An additional option is for it to be set up so users who ‘like’ the operator’s Facebook page will receive free internet access onboard. The landing page, the screen a user first sees once they start using the Wi-Fi, can be customised to the operator’s specifications. It can be configured so passengers have to agree to a user agreement before starting. The IBR1100 has the ability to set a fixed bandwidth limit per Wi-Fi device. This prevents a small number of users from saturating the cellular connection and adversely affecting the user experience for everyone else. The router supports dual external cellular antennas in order to maximise the performance of the 4G connection, as well as flexible Wi-Fi antenna positioning. 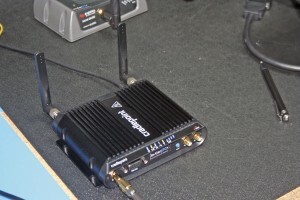 David said Wi-Fi antennas connected directly to the router should be fine for a single decker, however a double decker could benefit from a remote second one on the upper deck, ensuring the internet connection remains reliable throughout the vehicle. In addition to its Wi-Fi hotspot capability, the IBR1100 features three Ethernet ports intended to provide reliable internet connectivity to other onboard devices such as CCTV systems, ticketing machines and digital signage equipment. 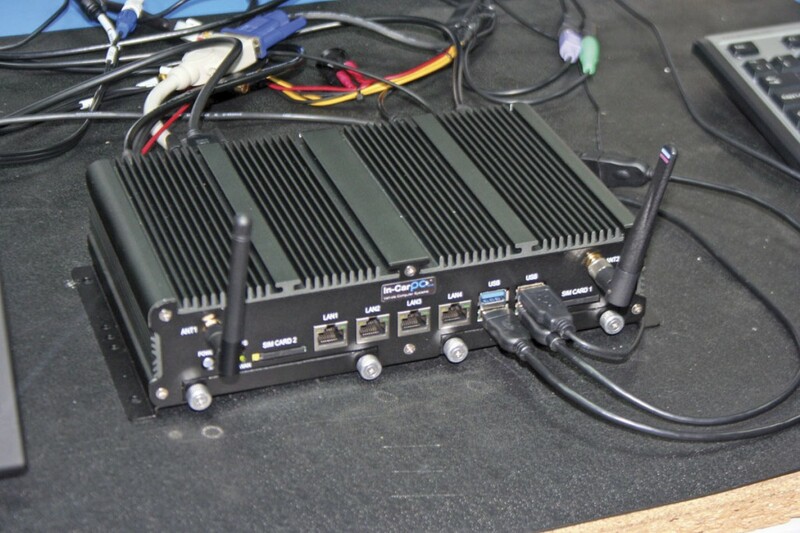 For added flexibility it supports Wi-Fi as WAN, obtaining connectivity from an external Wi-Fi network rather than its built-in cellular modem (for example, when uploading large amounts of CCTV footage when a vehicle returns to its depot at night). Installing the IBR1100 is relatively easy, said David, claiming it should be straightforward for any depot technician. However, In-CarPC does have links to companies that can carry the installation out for its customers if required. Once in place, David said they should be ‘fit and forget’; the driver can start the vehicle and not have to worry about switching on the Wi-Fi connection. They can even be configured with shut down delays. This means that if a vehicle is sat in traffic and the engine is turned off, then the Wi-Fi won’t immediately disappear, leaving passengers mid-surf. The system can be monitored and dealt with remotely from the back office. For instance, in the rare event that there is a permanent decrease in the signal a particular device is receiving, then a member of staff can react and deal with the problem before it becomes worse. As its name suggests, In-CarPC has mostly been involved with in-vehicle PCs. These units are just that, a PC for use onboard to do anything on the road. However, forget any ideas of computer towers somehow squeezed into a driver’s cab, as the devices are nowhere near that big. They have been designed specifically for vehicles, complete with a durable shell and a smaller build for easier fitment. Unlike home or office PCs, they have no fans, but instead a special panelling surrounding them to help dissipate the heat. The lack of fans helps keep noise down when they are switched on. In terms of functionality, they can do anything a standard PC can. Drivers can control them through a connected touch screen. Whatever the customer requests, the company will ensure they can do, often in partnership with third party software companies; almost everything they provide is bespoke. Examples include processing ticketing and payments, including an option for passengers to buy tickets or book themselves in. Using GPS technology, the units can be set up to track and navigate the vehicle. The PC can be linked to the CANbus, allowing driver performance information to be harvested and used as part of a monitoring system. This can be combined with other data concerning the vehicle, which can then be sent wirelessly to the back office. The PCs can be linked in with cameras, either for CCTV or reversing. Images from them can be displayed on the driver’s screen. 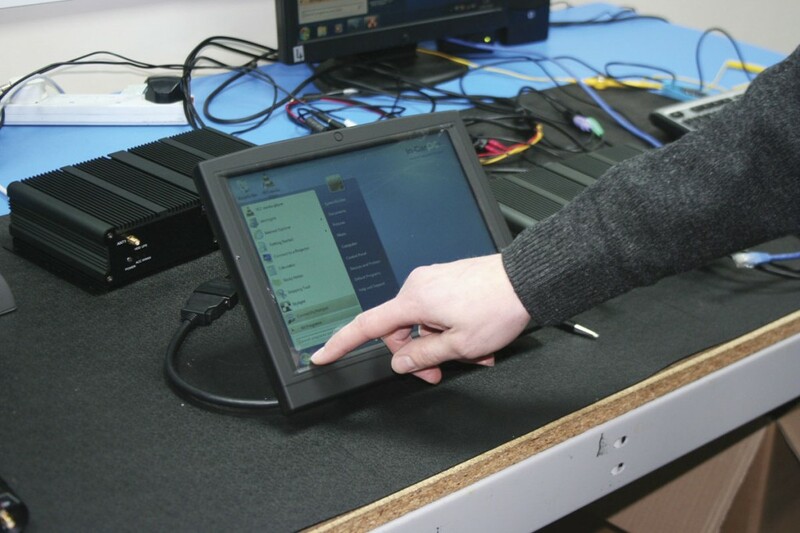 One of the advantages of using an onboard PC is the ability to add further functionality when required, just as one would add more programmes or hardware to a home computer when needed. One possibility that may be particularly attractive is rigging TFT screens to the onboard PC. The screen’s display can be controlled from the office using wireless communication. It can be used to show messages, including adverts for an extra source of income. Manchester Airport has fitted the PCs to its shuttle buses and David says the operator is ‘very happy’ with them. They are used to record information for passenger management reasons and the use of PCs enhances the efficiency of this, avoiding the inaccuracies prevalent in the old method of taking note of passenger numbers manually. They were first installed on the vehicles in 2008 and are still being used to this day. In-CarPC was set up by David in 2006 and began formally trading in March 2007, with its base in Bristol. He has ‘always had an interest in computers’ and behind setting up the company was his desire to make PCs ‘more interesting than something that sits on a desk’. Initially, he targeted the entertainment side of the market, intending the devices to be fitted in cars – hence the name In-CarPC. However, he soon found that he was selling most of his kit into the CV market, so his focus changed to these vehicles, and the business is now almost totally B to B. 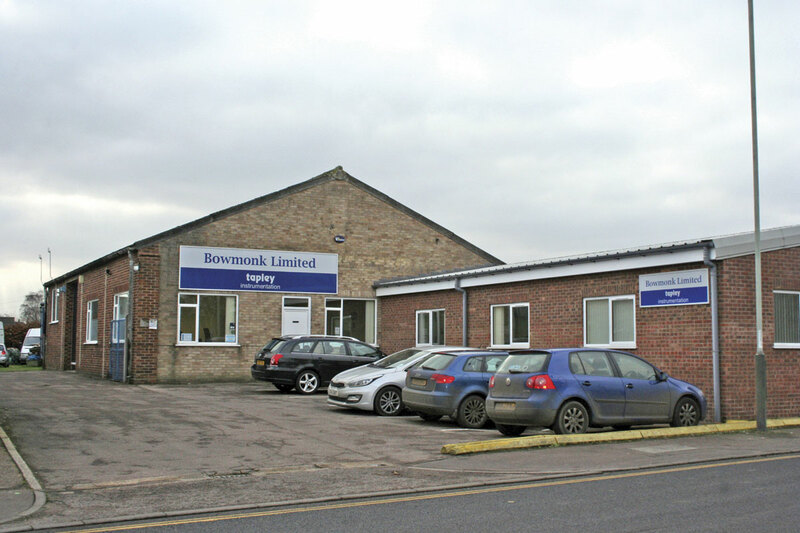 One of In-CarPC’s biggest developments was when it was taken over by Bowmonk, a manufacturer of decelerometers and vehicle management/diagnostic equipment. This took place in May last year and saw the company move to its new owner’s facility in Norwich last June. David has taken up a permanent position with the company and continues to be the main point of contact for all customers of In-CarPC, which now trades as a division of its owners. Bowmonk is a family owned company founded in 1966. 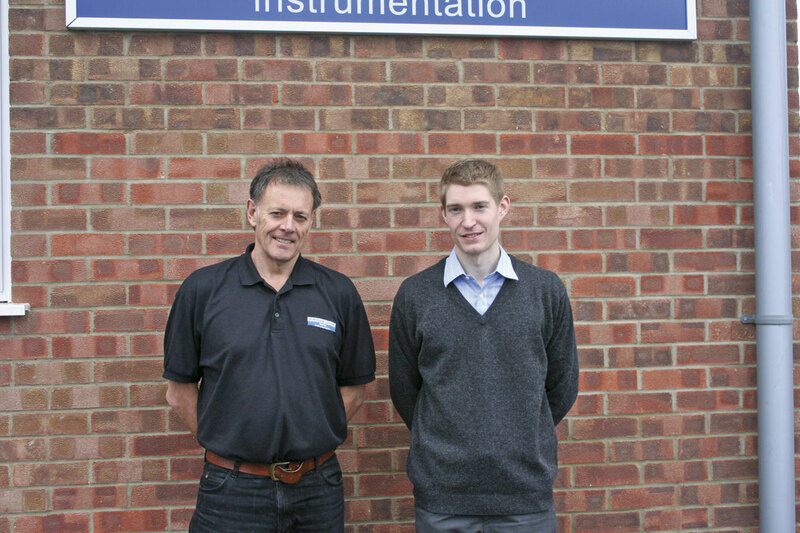 One of its defining moments was in 2006 when it purchased its main decelerometer competitor, Tapley Instrumentation. Chris Bailey described this business as the Hoover of the decelerometer world and acquiring it made the company one of the world leaders in this field. He said Bowmonk’s portable brake testers have been specified by National Express and the Go-Ahead Group. Summing up the product range, Chris said they are devices for keeping on the right side of the law. Combining the two businesses strengthens their position in the market place, according to David, widening the product portfolio. 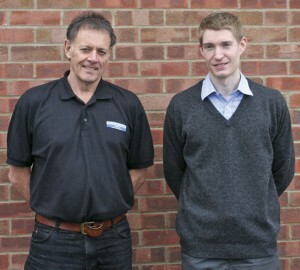 Both are looking for new and relevant products to promote to its existing customer base and combining the businesses has achieved this, both David and Chris believe. An area they are looking to integrate their specialities in is an onboard vehicle weighing device. In terms of future developments, David expects rear view cameras to be a top seller for him, saying they are already ‘selling like mad’. These items are commonly hooked up to his in-vehicle PCs. A mobile device could be on the cards too, which would function like a companion unit for the main onboard PC. This could be used for such applications as a vehicle walk around checklist, perhaps making use of drivers’ smartphones. The company can already provide driver prompting and alerts via the onboard PC. According to David, development of transport technology is progressing increasingly towards working remotely. He has seen a massive shift in Cloud based management. With his system, he says it is possible to control operations via an office, communicating to drivers via onboard PCs. This is expected to save money by increasing efficiency. If this is the case, then In-CarPC has plenty of opportunity to develop, especially as Wi-Fi shows no signs of slowing in its popularity and must surely become a universal fitting in time.